Also known as “Chris P”, as he is an master electrician by trade. This has given him a natural desire to hone in and learn more about every piece of equipment he comes in contact with. From a young age any toy or equipment he came in contact with, he would take it apart to attempt to learn the inner workings as well try to figure out different ways to improve it. 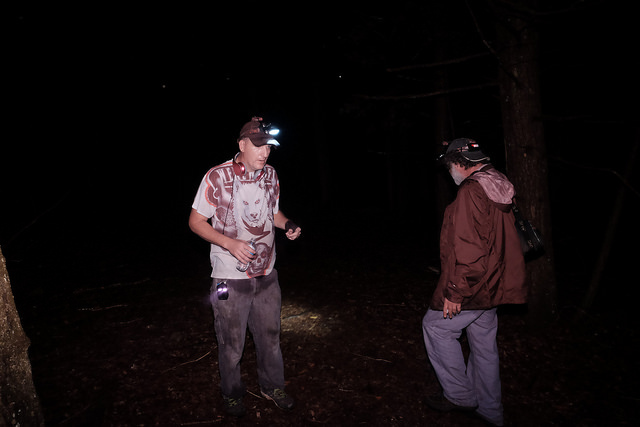 This desire to learn and improve equipment has made him an asset to our team as he is constantly trying to improve upon the technology that we use to run the dogs as well as search for paranormal activity. One of his great achievements since he’s been with the team has been his knowledge and work with lithium batteries. He has therefore been able to improve the equipment that we use to run the dogs, as well as our ghost hunting machines. I mention lithium batteries as they are a great benefit to everything we do. As it has been known that paranormal entities drain batteries to get there energy. We’ve personally experienced this on several different ghost hunting journeys when we walk into an area that has a lot of paranormal energy the battery life of equipment that was just recently charged will quickly drain. This gives us just one more indication that we are around a different field of energy than humans are used you. Not only is he our equipment extraordinaire, he uses these abilities to help decipher a lot of the paranormal activity we are coming in contact with. As you’ll see in many of the videos he will be wearing headphones this allows him to hear any delayed response communications or any sounds that may be missed by the naked human ear.